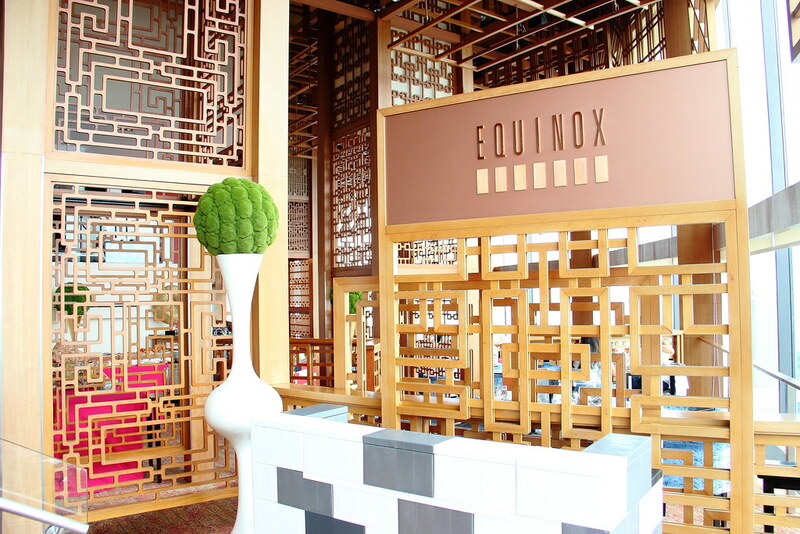 Located on level 70 of Swissotel The Stamford Singapore, Equinox Restaurant has unveiled a whole new Sunday Vintage Brunch set against unparalleled views of the Singapore skyline. The spectacular buffet spread is accompanied with an endless flow of Moet & Chandon Grand Vintage 2006. 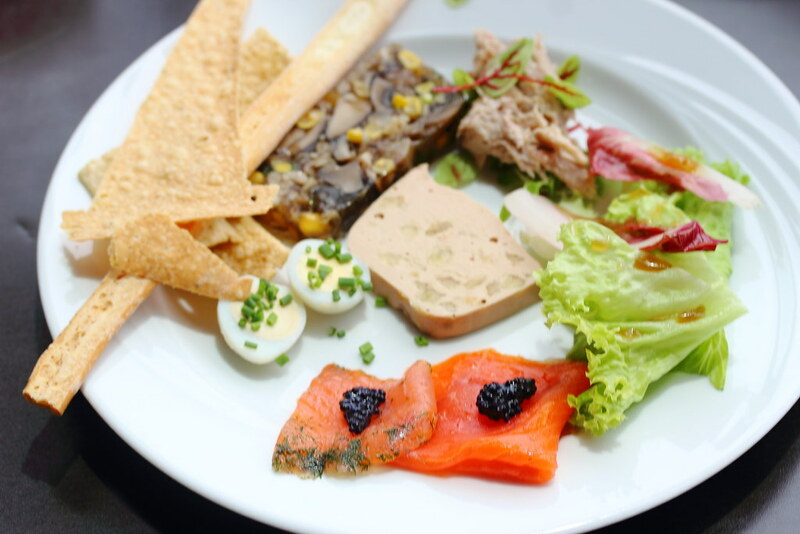 Starting with something light to go with my champagne, I got myself some Duck Rillette, Country Terrine, Foie Gras Terrine and Smoked Salmon with Caviar. Usually buffet is served in big portion and diners help themselves to it. 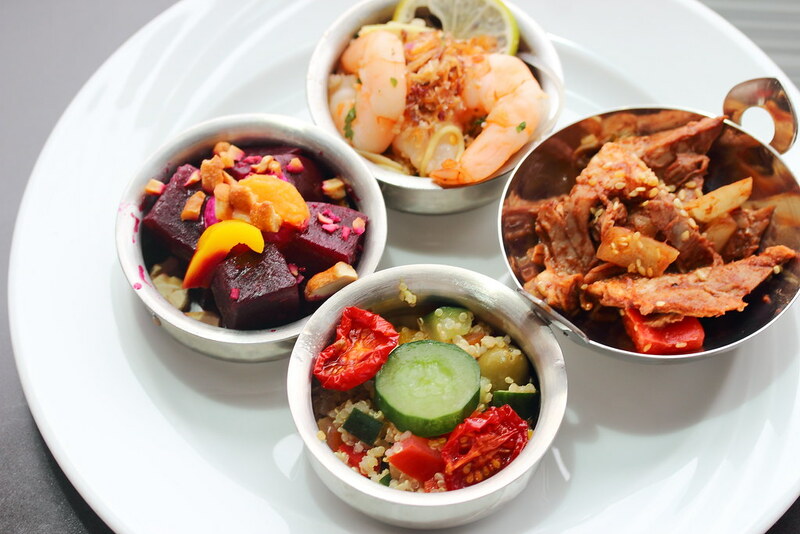 At Equinox, quite a number of items come in small tapas size portion such as the Prawn Cocktail, Roasted Duck Salad, Beetroot Salad, Quinoa Salad. I actually quite like the idea, so that there is no food wastage and I can safe my stomach to try more food. 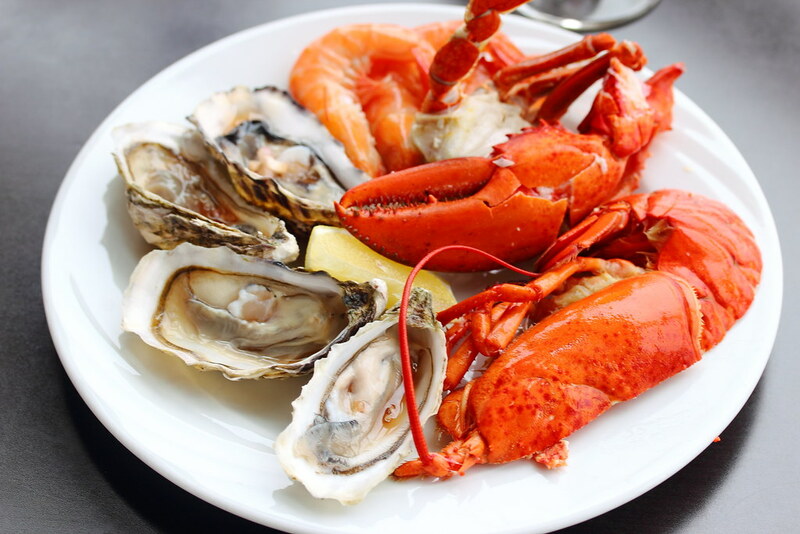 Diners can look forward to a plethora of seafood such as Boston Lobster, Oysters from Traigheanna Bay, Oleron and French, Sri Lankan Crab and Prawns. 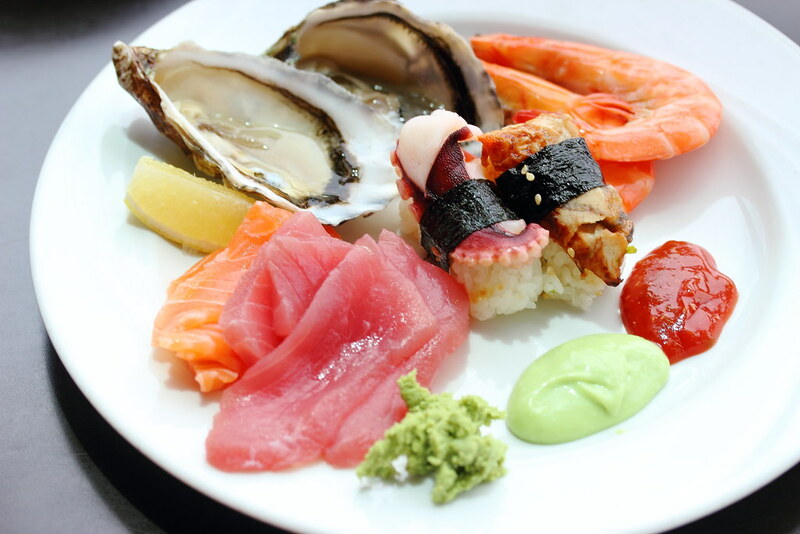 There are also fresh Sashimi and Sushi to complement the enticing spread of ocean fresh seafood. 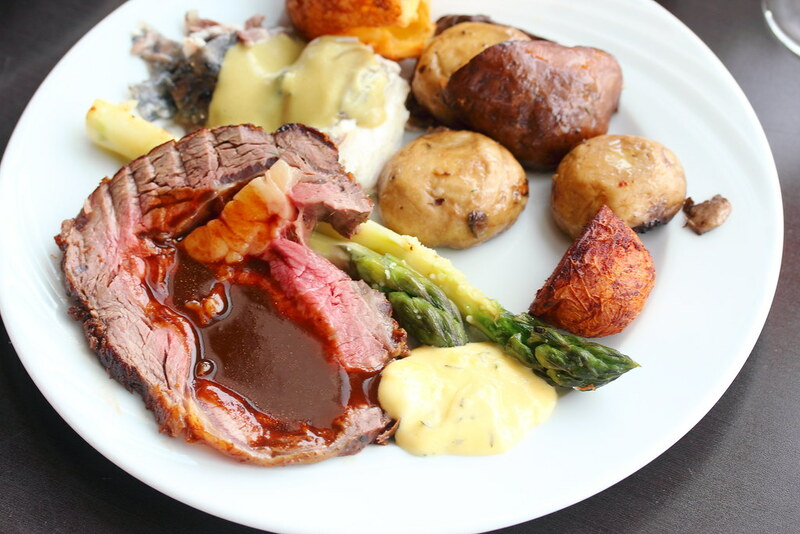 Not to be missed is the Roasted Angus Beef with red wine and Bearnaise sauce. The beautiful meat s cooked to pink, succulent and flavourful. From the carving station, the Salt Crust Baked Sea Bass with wasabi butter sauce is another worthy dish for its moist meat. 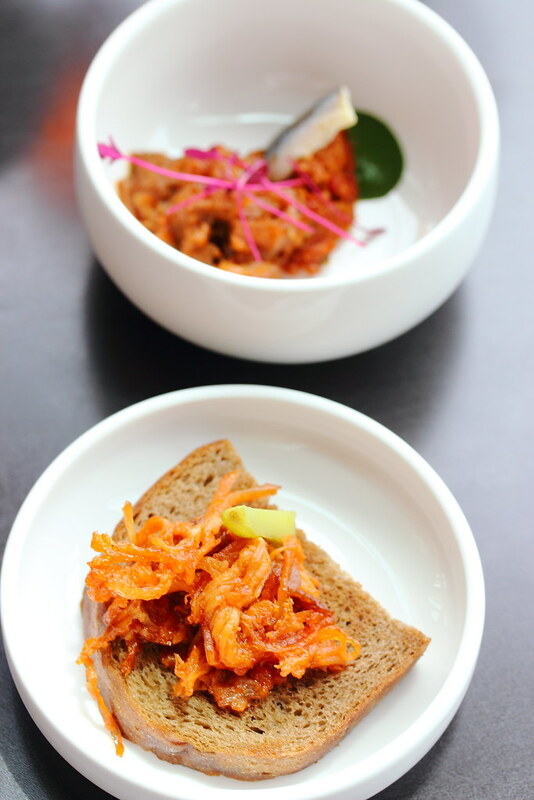 Besides the buffet spread, diners can also order from the ala carte menu (unlimited order) which features Chef Paul's weekly special which is freshly prepared from the kitchen. On the menu there were six items, namely Roasted Pork Belly, Salted Cod Croquettes, Roasted Lamb Leg, Pull Pork Toast, Roasted Scallops and Salmon Wellington. 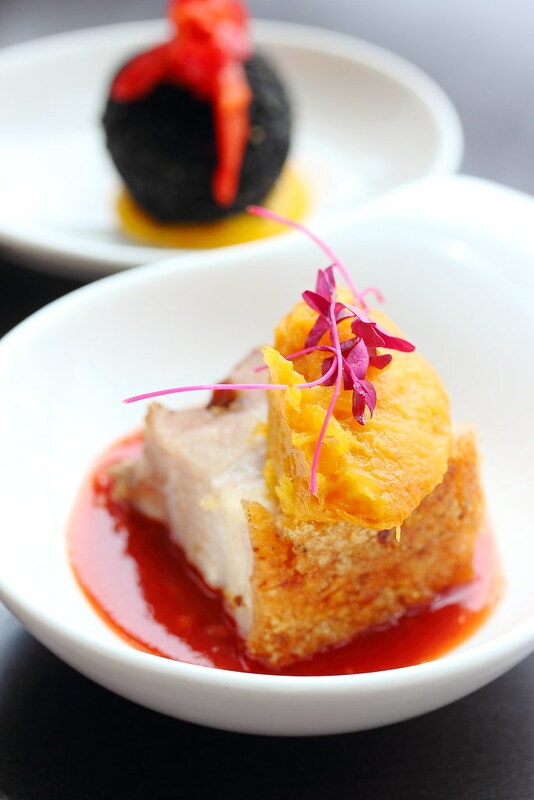 I personally would recommend going for the roasted pork belly and salted cod croquettes. The rest can skip. 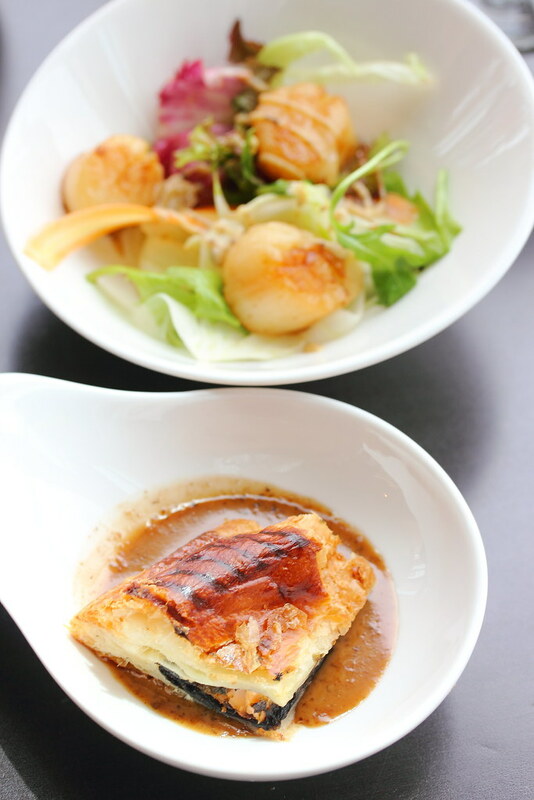 Instead go back for more seafood, angus beef and baked sea bass. 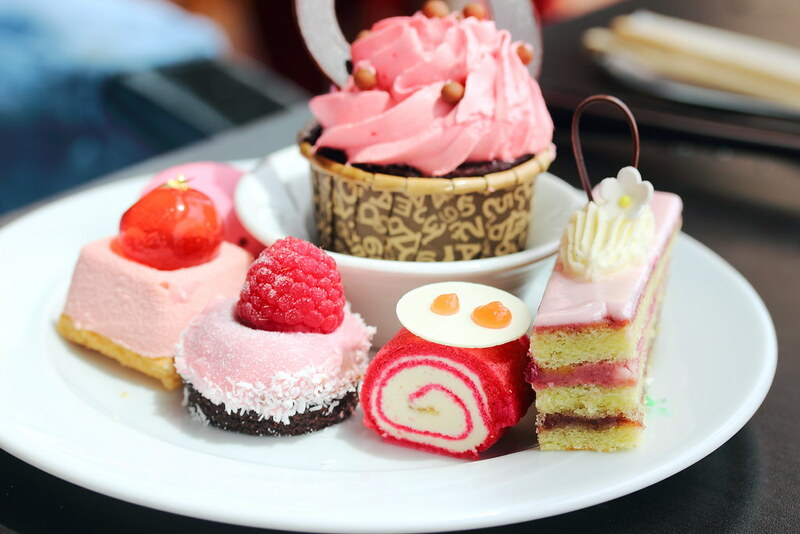 You should not leave Equinox without trying their dessert. You will not regret it. Even myself who is not a dessert person, could not resist myself helping to them. That just shows how good they are. 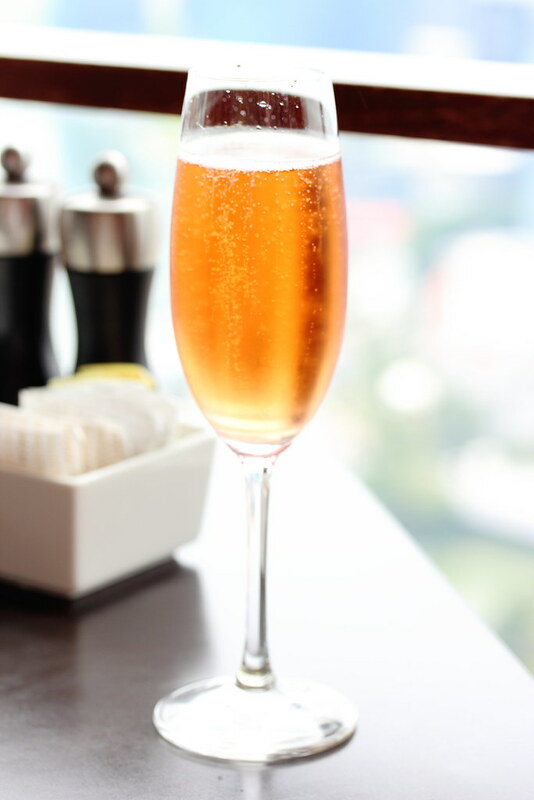 S$168++ per person, inclusive of unlimited Moët & Chandon Grand Vintage 2006, cocktails, wines and imported beers. S$178++ per person, inclusive of unlimited Moët & Chandon Grand Vintage 2006, cocktails, wines and imported beers.